Although it’s only been around for ten months, popular dude-centric advice site Brotips got backing in the millions yesterday from Dallas Mavericks owner and general billionaire Mark Cuban. The site is based on bite-sized ‘brotips’ that users read, post and forward to their friends, which propels each tip to spread virally across users’ social networks. 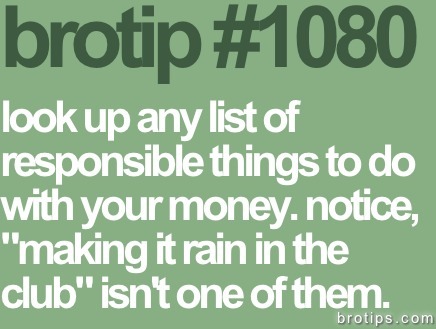 Brotips are written in a unique narrative and voice and cover topics such as dating, school, friends and ‘bromance’. “Essentially, Brotips has taken a large, niched and non-inclusive culture and redefined it”, says Yousef Khraibut, Co-Founder and President of Brotips. Unlike traditional ‘bro’ media, the site has built its reputation and following by redefining the bro from the traditional alpha-male jock to instead represent a gender-neutral outlook on the everyday havocs of life. In the release, Cuban cited “the Brotips brand and its growing clout online makes it an attractive property with a number of viable opportunities ahead of it” as a compelling reason to invest in the site.